the coffee never stops, we work hard and play hard—and free food doesn’t last long. 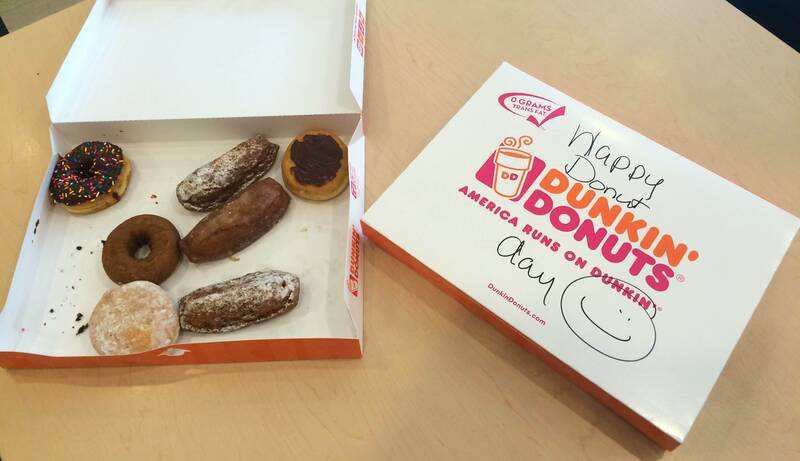 Chad hooked us up with two dozen Dunkin Donuts for Free Donut Day—and they disappeared in minutes. Hope you celebrated too!